Adam M Botsford - Artist/Illustrator: Are you a starving college student artist in Washington? Are you a starving college student artist in Washington? Well , then I encourage you to go check out the C.L.A.W. 's scholarship opportunity. Be sure to read the qualification requirements! Application Deadline: MARCH 15 2010. 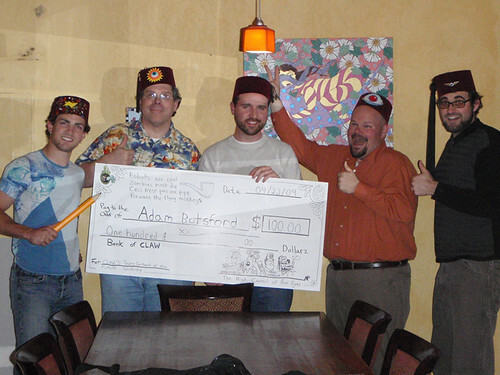 Then perhaps you too could be wearing a fez! You'll be all the envy I assure you.